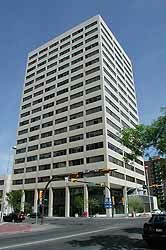 Laven and Company LLP was established in 1953 and today, as a second generation law firm, remains in downtown Calgary. Our practice focuses on Real Estate, Divorce & Family Law, Wills & Estates, and Corporate & Commercial Law. Our site sets out basic information by practice area, but is general in nature and is not intended as legal advice. For your specific legal needs, please contact us.